JND Jet Nozzle Diffuser is suitable for supplying cooled and heated air in large areas. The air flow pattern can be adjusted in any direction and is suitable for long distance air supply whilst maintaining low noise levels. 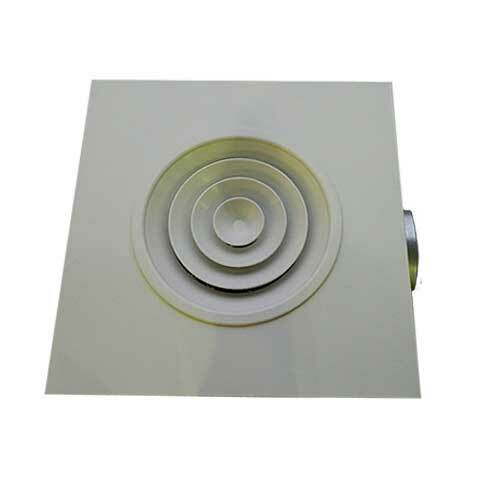 Due to the refinement of the air delivery via our Jet Nozzle Diffusers, they provide a very efficient method of air supply over long distances whilst still maintaining low noise levels. This makes them particularly suitable for use within premises with high ceilings where noise could soon become an issue for the occupants. These jet nozzle installations would include: Theatres, Auditoriums, Museums, Concert Venues, Lecture Halls and Exhibition Centres. 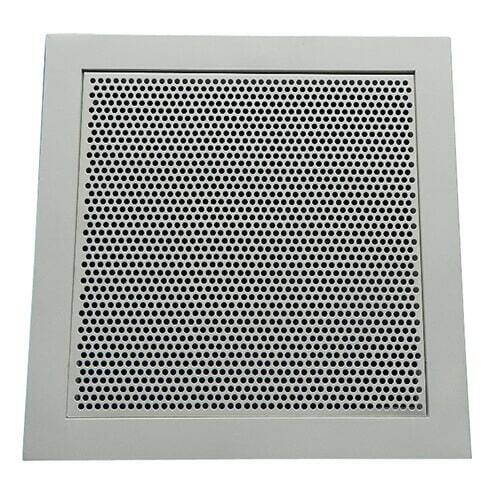 The air flow pattern produced by the HVAC Jet Nozzle Diffuser is fully adjustable in any direction. 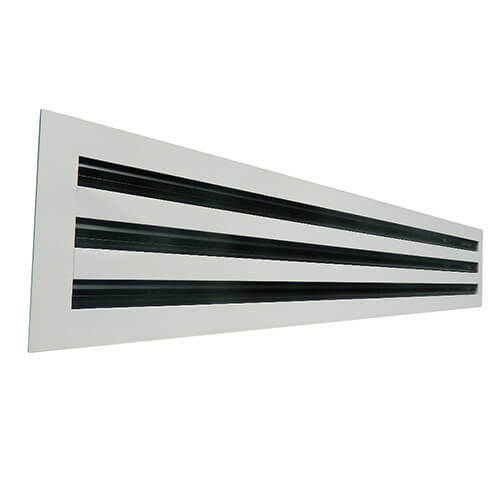 In our standard Jet Diffusers, this is a manual operation and air flow can be set to meet your specific requirements. We also offer an automated model with electronic actuators, making adjustment of the jet nozzle diffuser an easy task form a more convenient location. This is particularly suitable where the nozzle diffusers are installed high up and the direction of air flow may need to be altered, perhaps due to seasonal variations within the environment. 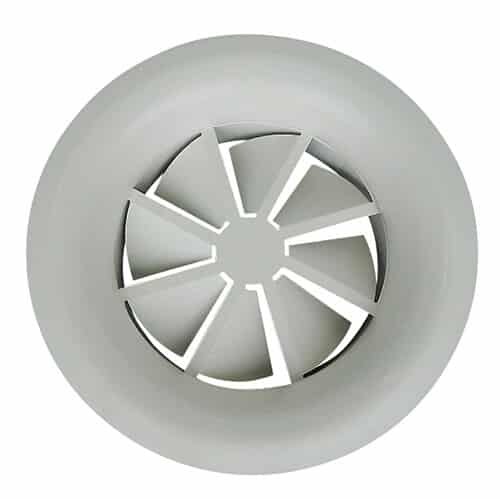 The JND Jet Nozzle Diffuser and the outer installation ring are manufactured from quality aluminium, creating a long lasting, robust and low maintenance ventilation solution. They are available to order in a range of sizes including: 100, 125, 160, 200, 250, 315, 400 and 500, all offering variations on air deliver range, pressure drop and noise. 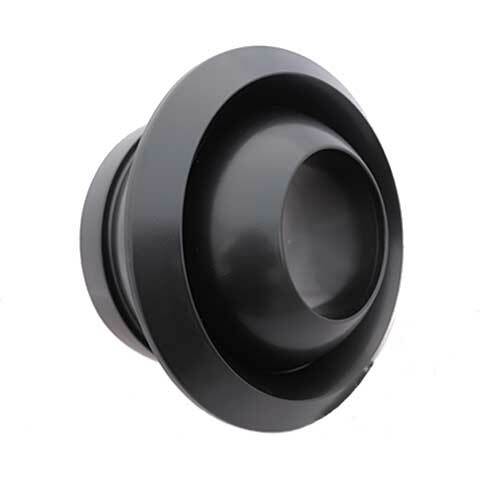 The standard finish of the nozzle diffuser is RAL9006 or RAL9010, though as the manufacturer of these nozzle diffusers, we can polyester powder coat them in a colour of your own choosing the meet you particular installation requirements.